Are your tires bumpy, lumpy, or flat? Are your treads losing their grip? You could just replace your old tires and worn lug nuts, or you could upgrade. There are many good reasons to upgrade to aftermarket tires this year. Let's look at five of them now. Upgrading your tires can give you better handling in the fast lane. This is especially important around the change in the seasons. Your tires have to be able to handle rain, sleet, snow, and other obstacles along your path. When you upgrade your tires you put more control, and therefore more safety, into your own hands. While being able to handle everything that the road throws at you is essential, off road performance is another great reason to upgrade your tires. If you want to be able to handle your vehicle equally well on a gravel road, pavement, or a mud flat, you have to have the kind of tires that are up to the job. You’re not just going to be able to roll off the dealership lot and out into the wilds without some upgrades. Upgrading your tires is a simple, easy way to see if aftermarket upgrades are right for you. Some people like the idea of an upgraded, customized ride, but find the actual process of upgrading it isn’t as cool as they thought. Instead of spending your savings on a slew of aftermarket upgrades all at once, start small. By upgrading your tires and lug nuts, you can test out the idea of aftermarket upgrades for your entire car. Upgrading your tires to a larger size can smooth out your ride. The larger the surface area the less you’re going to feel every bump and dip in the road. If you’re always complaining that nobody is doing anything about the cracks and potholes in the road, this is an option. If you’d just like to complete the luxury feeling of your luxury vehicle, these tires will help. What’s the point of a leather interior with permanent “new car smell” if you don’t enjoy the ride? Sooner or later, you’re going to have to replace your tires. Your lug nuts are going to wear out. You’re going to lose your treads. Your tires will sustain damage, get less springy, and so on. When you upgrade your tires in 2017, you can choose to get ahead of the tire damage. You don’t have to wait for one of your tires to go flat for you to replace it. Before your tires need replacing, choose your upgraded tires and any additional features. By doing this, you also control when and how you upgrade your tires. 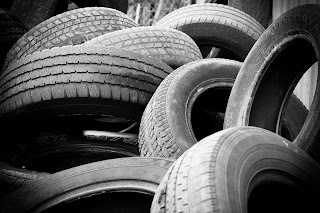 Sooner or later your old tires are going to have to be replaced. You could wait for disaster to strike, or you could upgrade your tires and lug nuts beforehand. It’s a great way to find out if vehicle modification is a good hobby for you, and it can make your ride smooth as silk. Does Lug Nut Quality Matter? Lug nuts are essential to the function of your car. Just like a chain is only as strong as its weakest link, your tire is only as secure as your weakest lug nut. Once you’ve reached the base threshold for “keeping your tire on your car”, does lug nut quality matter? There are three common types of lug nuts. It comes down to what materials they’re made of. The most common and cheapest type of lug nut is forged aluminum. These lug nuts are tough and light. Best of all, you can find them many places. They’re made in a variety of sizes, so you can find ones that fit your car perfectly. The second common type of lug nuts is forged steel. It’s a step up on the strength ladder from forged aluminum. Forged steel has a look that could be desirable, but most people don’t choose it for those reasons. Forged steel is slightly less popular than the two metals at either side of it, aluminum and titanium. Forged titanium is the strongest, most durable, and in some cases coolest of lug nuts. They have a distinctive look which carries a weight all its own. Because these lug nuts are rare, they are very popular. They’re the most expensive of the three options. While they're great at holding firm and looking great, it takes dedication to swallow their price point. People who choose titanium are either serious about strength, or serious about showing off. In most scenarios, any of the three common types of lug nuts will keep your tire on your car. Assuming that you properly installed it, even forged aluminum should be safe with regular inspections. The difference between them largely comes down to how much work you want to do on maintenance. Depending on the hardware on your car and how much strain you think the lug nuts will be under, you could be looking at a significant difference in maintenance. Where weaker lug nuts could take you a hundred or a few hundred miles without maintenance, stronger lug nuts could push those numbers up. If you plan to drive your car regularly, it makes sense to invest in the strongest lug nuts available. More than likely, that means forged titanium. If you’re only taking your customized car out for special events, you could be fine with aluminum and just check them after every ride. While the quality of the lug nuts you purchase matters, the fit of the lug nut to your vehicle matters more. A well fit steel lug nut is going to last longer than a titanium lug nut that’s not the right size or length for your wheel. Before you buy any lug nuts, make sure that you have the right measurements for your car. Lug nut quality does matter. However, with proper fit and proper maintenance, you can do a lot more to ensure that your vehicle is safe. Aluminum, steel, or titanium lug nuts can all be great, safe lug nuts for your car.